Lisa M. Collins is a native Southerner; educated at the University of Arkansas in Fayetteville. In 1999 she graduated with a bachelor’s degree in history, and currently resides in her hometown of Rose Bud, Arkansas. Lisa’s writing roots are based in historical research and theology. She began writing fiction as an adult. 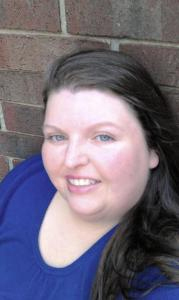 She is the 2011 and 2012 President of the White County Creative Writers and a member of the American Christian Fiction Writers, national and the 2012 Social Media Secretary for the Arkansas branch. Lisa has been published in the Arkansas Democrat Gazette, and the Dead Mule of Southern Literature. You can follow her blog at lisacollins.wordpress.com or on Facebook at facebook.com/lisaauthor. Her books are available at Amazon.